about their own area. Is it any wonder that building a home is one of the most stressful times of your life? Wouldn’t it make sense to deal with just one organisation? Someone who will take responsibility for all of the technology in your home and make it work together seamlessly. Someone who considers energy efficiency as part of the equation? Someone who provides total accountability, one point of contact and one phone number when you need it? Someone who delivers peace-of-mind and assurance by having the training and accreditation of a global industry association that specialises in technology in the home? That someone is a CEDIA Certified Member! Meeting the challenges of tomorrow... today A CEDIA Certified Member will spend time with you to find out what you need, explain what’s possible and then provide you with a customised and user-friendly solution that delivers the maximum benefits for YOUR lifestyle and budget. What’s more they will work with your builder, architect and interior designer to ensure that it compliments the design cues of your home. Whether it’s transparent and blends into the environment or a standout feature of the space such as a home cinema – either way you’re in good hands. Take the risk, uncertainty and worry out of technology in your home. 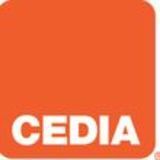 Speak to a CEDIA Certified Member today. •	Energy management solutions that ensure efficient use of electricity, thereby minimising wastage and reducing greenhouse emissions. 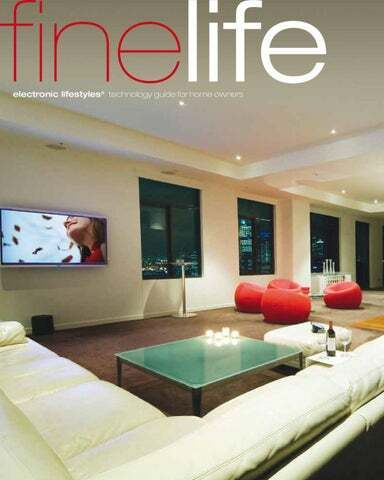 electronic lifestyles: technology guide for home owners.